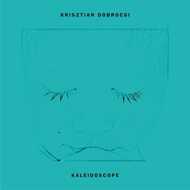 Accompanying KRISZTIAN DOBROCSI’s "PLAYBACK PHILOSOPY" - the first solo artist full-length on KX -, the "KALEIDOSCOPE" single showcases the quirkier side of the upcoming producer’s output. While the cut retains the soulful heft of Dobrocsi’s other work, it also shakes things up with its truncated arpeggios and well- embedded bass wobble, making for a snappy, fleet-footed listening experience. The flip side delves deep into Detroit-infused, minimalist beatscapes, thanks to a quality rework from Spanish underground hero EDUARDO DE LA CALLE – hypnotic techno at its very best.